On Saturday, I attempted a new-to-me craft project-- candlemaking! It was lots of fun, and not nearly as complicated as I'd thought it would be. 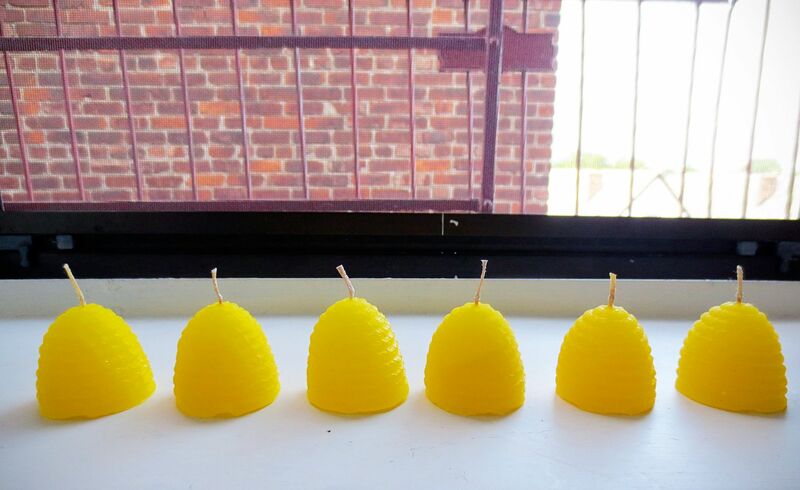 I made six vanilla-scented beehive candles! First I made a makeshift double-boiler with a soup can and a saucepan and melted some paraffin candlewax. In another can-and-saucepan arrangement, I melted yellow solid candle dye and vanilla fragrance, then added that to the wax. 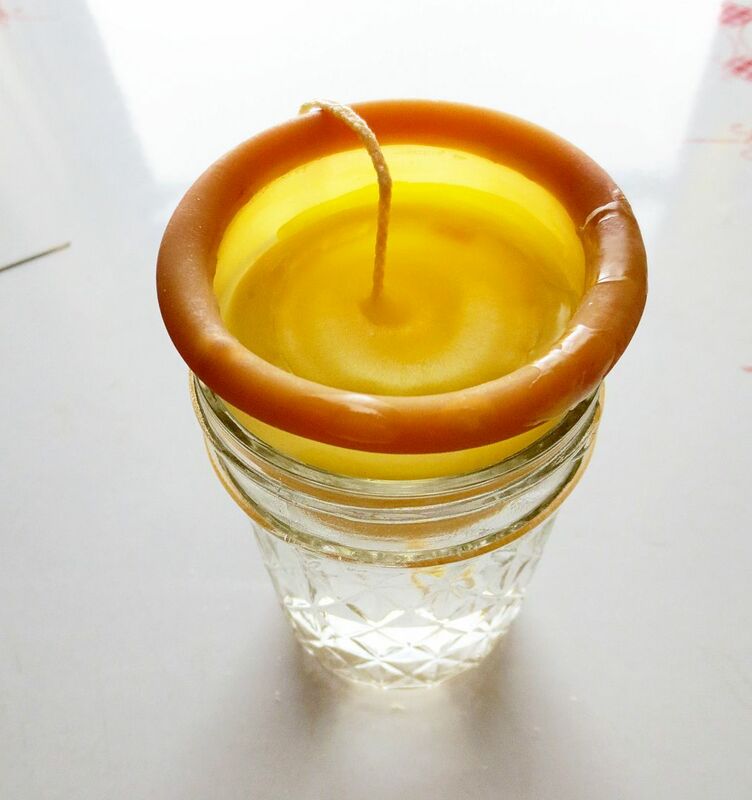 I dipped some candlewick into the wax to prime it, so that the candle will light more easily, and threaded it through a rubber candle-mold. Then I put the mold into a jam-jar of cold water, and when the melted wax reached 190˚F, I poured it into the mold. The cold water helps the candle cool and solidify. When the candle was completely cool, I peeled back the rubber mold and trimmed the wick. I repeated the whole process five more times, and ta-da! 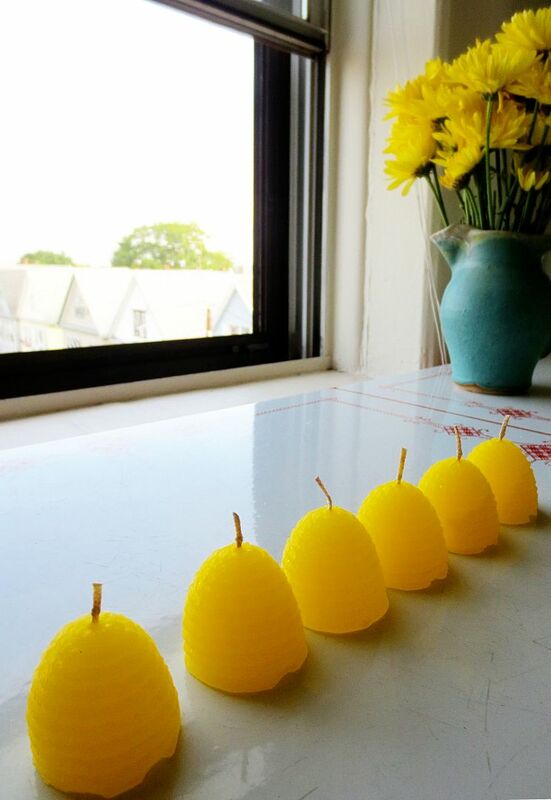 Beehive candles! 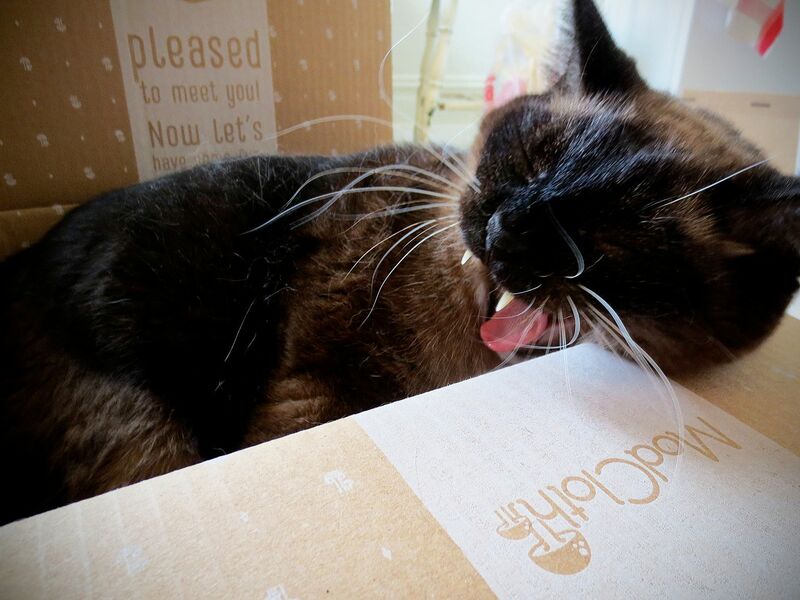 Bucky was very helpful-- he snoozed in a box on the kitchen floor. Occasionally he got up for a snack, which was so exhausting that he had to go back to sleep. It's a rough job, but somebody's gotta do it. I've always wanted to make candles but the idea of buying eqiupment has put me off. 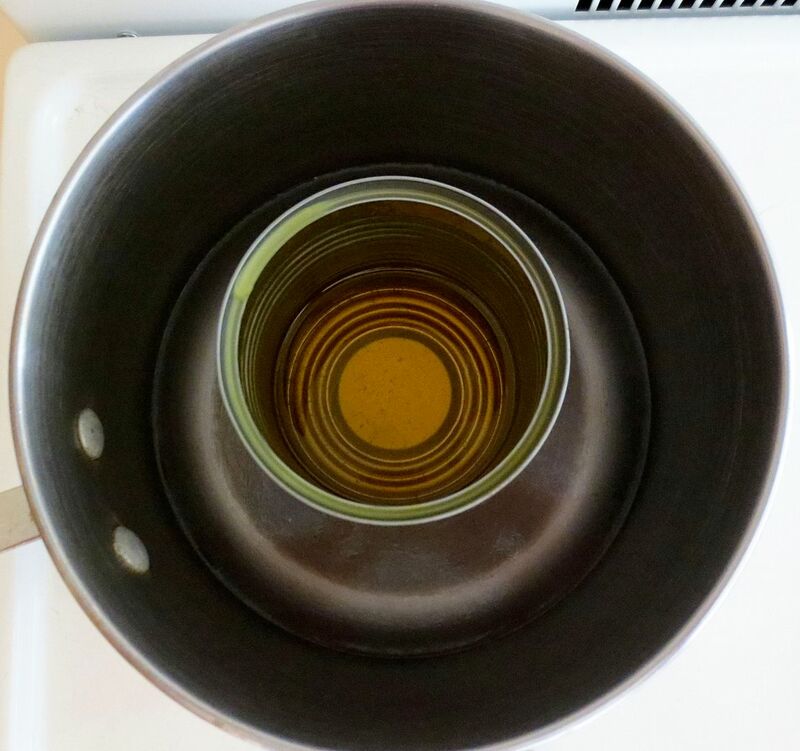 The tin can in a saucepan double boiler is a really great idea. I can definitely see where buying the equipment would be overwhelming! I was lucky enough to have a kit, which included the book The Complete Candlemaker by Norma Coney. The idea for the tin-can double-boiler was in that book! That way, you don't have to ruin a perfectly good pot, because if you melt paraffin wax directly in a pot or dish, you really shouldn't ever use it for food again. If it's your first time making candles, I think a kit is a good way to go, because you can try it a few times and see what methods you prefer before having to spend money on lots of tools. For instance, I'll probably purchase some more candle-molds, but since I don't really use tapers, I don't need to buy wick weights. If you do give candle-making a try, let me know how it goes!